PreCheck, a healthcare exclusive employment and background screening firm, recently received two AVA Digital Awards for the 2016 international awards competition. PreCheck, Inc., an employment and background screening firm specializing in the healthcare industry, recently received two AVA Digital Awards for the 2016 international awards competition. 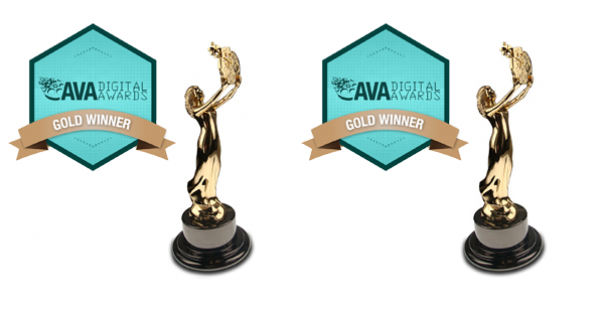 AVA Digital recognizes outstanding achievement by creative professionals involved in the concept, direction, design and production of media that is part of the evolution of digital communication. In 2016, PreCheck received a Gold AVA Digital Award for the PreCheck Pulse E-Newsletter in the category of E-Newsletter and a Gold AVA Digital Award for the PreCheck White Paper: How to Overcome the 5 Biggest Challenges in Healthcare Recruiting in the category of E-Brochure Module. There were about 2,500 entries from throughout the United States and 17 other countries in the 2016 competition. Entrants included digital professionals from audio, video and film production companies; web developers; advertising agencies; PR firms; corporate and government communication departments; and independent creative professionals such as designers, producers, directors, editors and shooters. AVA Digital Awards is administered and judged by the Association of Marketing and Communication Professionals (AMCP). The international organization consists of several thousand production, marketing, communication, advertising, public relations, and free-lance professionals. AMCP administers recognition programs, provides judges and rewards outstanding achievement and service to the profession. Judges are industry professionals who look for companies and individuals whose talent exceeds a high standard of excellence and whose work serves as a benchmark for the industry. Winners were selected from 227 categories in Digital Marketing; Web, Television, Video, Audio Communication; and Electronic, Social, Interactive Media. About 14% of the entries won the Platinum Award, the organization’s top honor; about 19% were Gold winners; and 8% won Honorable Mention. A list of Platinum and Gold Winners can be found on the AVA Digital Awards website at www.avaawards.com.